The Dal Mill business involves the method of processing pulses and not the production of the pulses. Before the pulses are ready for sale in the market, it needs to be processed, and the impurities should be removed from it in the factories. Apart from this, light oil is also extracted from the pulses, and all these tasks are accomplished in a Dal Mill. Processed pulses contain moong, lentil, gram, urad, and other ingredients and these are consumed by most of the people across all states of the country. What products are used in this business? Any processed pulses serve as the main source of food both for the vegetarians and non-vegetarians. When looking for cheap sources of protein processed or split pulses are the best options. Some of the pulses are moong, lentil, urad, gram pulses. These are mostly in the northern, eastern and central part of the country. In the southern part of the country, the consumption of arhar, urad, and moong dal are higher compared to other parts. How is the Dal Mill business growing? The consumption of pulses is increasing, and it is same both for the vegetarians and non-vegetarians. Pulses are considered the cheapest and the main sources of protein which are a common ingredient for making different dishes. When the cleaning of the pulses start, first its peel is taken off, and then it is divided into two parts. Dal, which is also known as dry grain, is a good source of protein. In addition to this, the inner parts of the pulse are also a good source of the vitamin. In order to enhance the protein content in the food, the pulses are mixed with other food with are rich in protein. According to research, it has been seen that almost 90% of the food consumption consist of items such as pulses. It is further seen that the per capita consumption of the pulses is higher in the case of the vegetarians. Pulses contribute as the main source of Protein, minerals, vitamins and it is consumed by a huge population in the country. In this way, pulses will contribute to eradicating situations of malnutrition in the country. Thus, it can be said that India tops the list among the pulses producers. As of now, there are almost 1000 Dal Mill units scattered in different parts of the country producing pulses. How to get a target market for the pulses? According to estimation, the per capita consumption of pulses in north, western and central part of India is near about 2.8 kilograms. Compared to this high rate of pulse consumption, the level is comparatively low in the southern and the western part of the country. This is because, in these areas, rice, wheat, and vegetables are consumed in plenty and also considered as the main food. In addition, it is often seen that the consumption of the pulses is often affected due to the irregular supply of the same. This happens due to the high cost of processing, high import, and others. In this relation, as per estimation, 60% of pulses in the country are produced whereas, 40% is imported to meet the increased demand for the pulses in India. When entrepreneurs are planning to initiate Dal Mill business, they have to go through proper licensing and registration procedure. Entrepreneurs can get the license from the local authority. The registration should be taken under industry base for Dal Mill business. The Dal Mill business person should be registered to FSSI. GST registration is also required for smooth running of the Dal Mill. 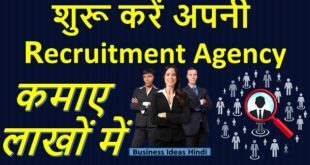 The business person should have ESI and EPF registration. What are the equipmentand machinery required in the business? 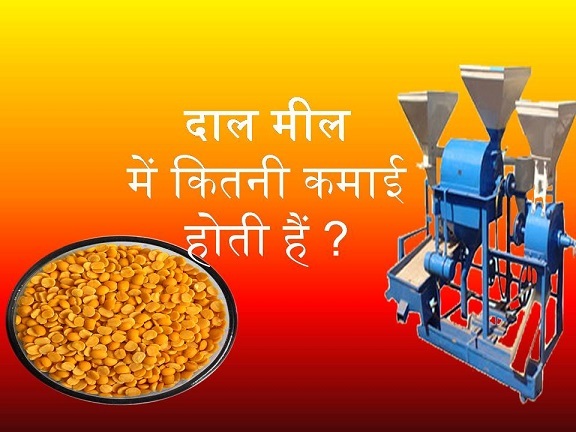 The main item used in the Dal Mill business is different categories of pulses. As per estimation, 1 kilogram of lentil results from 1.2 kilograms of pulses. In addition, sabut dal is also used as a raw material in this business. Some of the machinery and equipment used in this Dal Mill are listed below. How dal is made in the Dal Mill business? In the initial step, stones and other items are removed from the pulses and then it is divided into different quantity. After this, the pulses are soaked in water and kept undisturbed for an hour or more. The pulses are stored in one place for moisture absorption after which the pulses are dried in the sun for a day or two. Then the pulses are put in the pulse mill, and dal pulses are come out as a result of the processing. With the help of this process, the whole dal, the skin of the dal and the lentils are separated. In this way, 25 to 39 kilograms of dal can be processed in an hour by a small Dal Mill industry. In this process, the lentils are mixed in two parts. The Dal Mill business falls under small-scale industry, and such a small rate of growth and development in this sector will be useful for the businesses. In addition, there is an increasing demand for pulses both in the domestic and international market. Thus, it is evident that there are plenty of opportunities for entrepreneurs who are planning to start their Dal Mill business.